A paranormal podcast featuring celebrity guests and stories of high strangeness. Hosted by Michael McMillian & Bryce Johnson. BCC 65 - “Black Eyed Kids” w/ Alyshia Ochse! Actress and podcaster ALYSHIA OSCHSE (That One Audition) considers herself a ‘good witch.’ Find out why in this paranormal-packed episode featuring mini shadow tornadoes, ghostly grandparents in tube socks, weddings on Atlantis and weird encounters with The Black Eyed Kids! 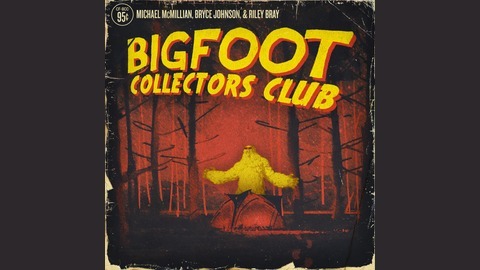 BCC Special Announcement: “Bryce’s Bigfoot Sightings!" BCC 64 - “BCC UFOMANIA” w/ Anna Gillcrist! BCC 63 - “Ausso One” w/ Vincent Rodriguez III! BCC 62 - “Saved by Bigfoot” w/ Kathryn Burns!